This is one of Revit’s little secrets. I’ve no idea why this is hidden in the system, but it’s a great little tool. 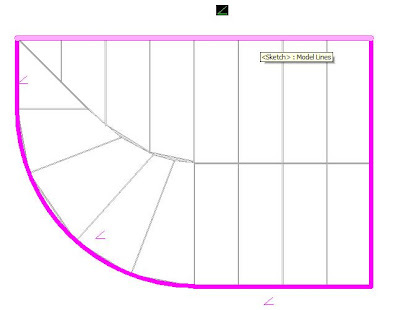 Start off by drawing a standard roof using roof by footprint method. 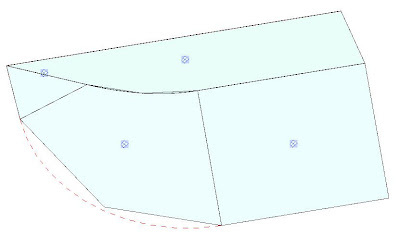 After you have completed the roof shape you want, finish the sketch. Now select the roof. 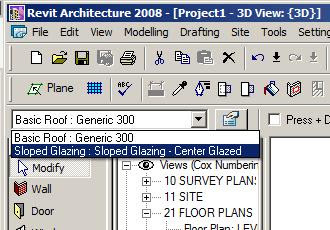 Go to the "type selector" and scroll down to “Sloped Glazing”. You can now add grids and mullions as with any standard curtain systems. 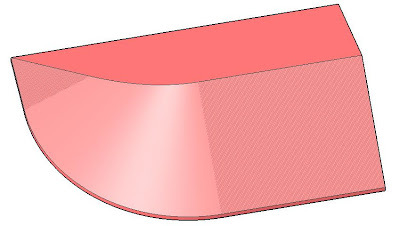 If you need to edit the shape or slope, you can select the curtain system and edit it like a roof. It should be noted that in any "none rectangular curtain panel" in a curtain wall or curtain system; you can only use System Panels. Revit won’t allow you to use Curtain panel.rfa family files. However there is quite a lot of customisation with a system file, i.e. with material, location and thickness. If you panel is rectangular, then of course you can use a customised curtain panel. Hi there - I've used this command in 2011 to turn a simple one faced sloped roof into sloped glazing. It was easy enough to add internal mullions, but they ended up on the outer face. Any way to flip them without starting over? Also, I couldn't figure out how to add perimeter mullions to complete the frame. What about area of these elements?